Awwww, they are so adorable! Welcome back! Welcome @Rawla so nice to see you here. Wow. I didn't know toddlers were patched into Sims 4. 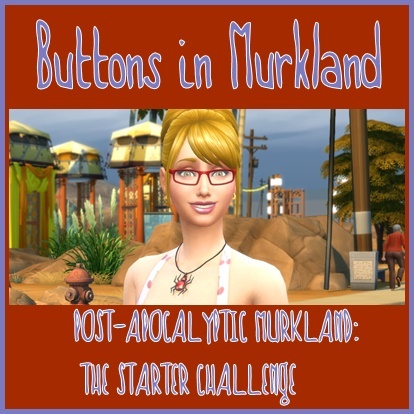 Judging from those pics they certainly do look more fleshed out than their Sims 3 counterpart. The pic of the toddler holding a frying pan made me laugh. 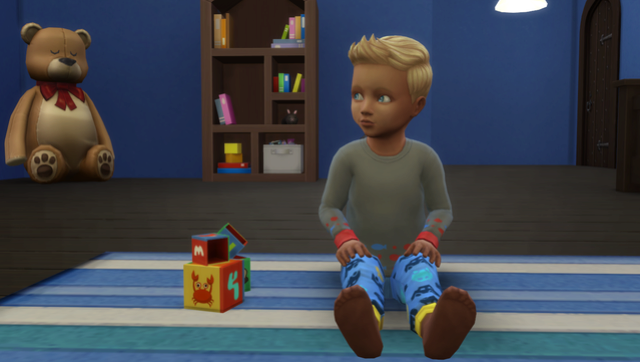 Toddlers certainly are more 'people-like' in Sims 4 that is a fact. 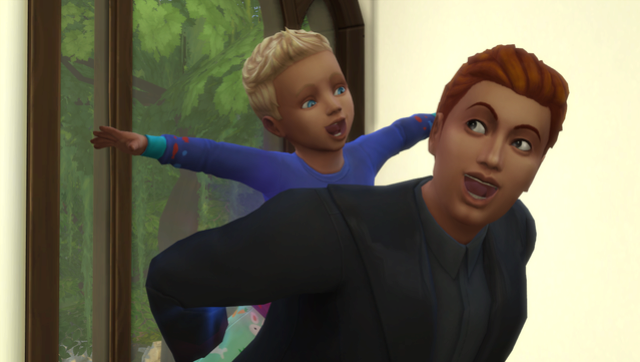 Seriously I was quite happy to not have to deal with Toddlers when Sims 4 first came out. But now.. they are so much more interactive and more fun. Unless you have too many at once then Oh Jeebus! So Needy! But still adorable. They can 'Play in' so many things and their antics are so amusing. Identical twins. First pic is Arrkan Pern. The other is the heir, Maxon Pern with his dad Arroden. Dawwww so CUTE ... love when the parents can play with the toddlers. Those are Terrific pictures! I've posted my toddler pics in a thread before I got to this one. Sorry!